The ferry crossing was very smooth, we rolled off and went to 'hotel Barons' that we pre-booked the day before. 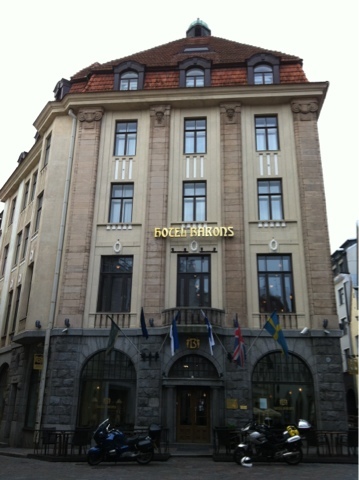 We are staying here for two nights to get the most out of this wonderful city. Well, I had to include a photo of motorcycles! Just take a close look at the front of the Suzuki above the headlight.